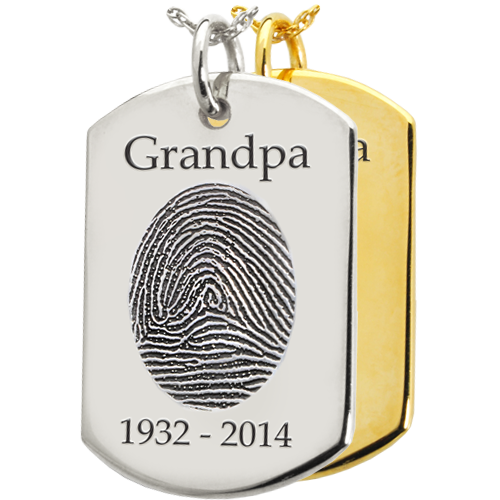 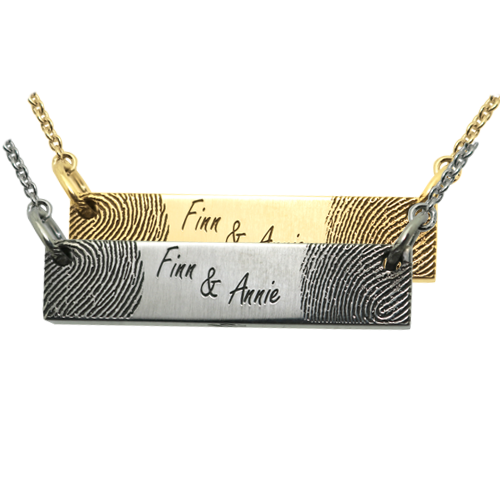 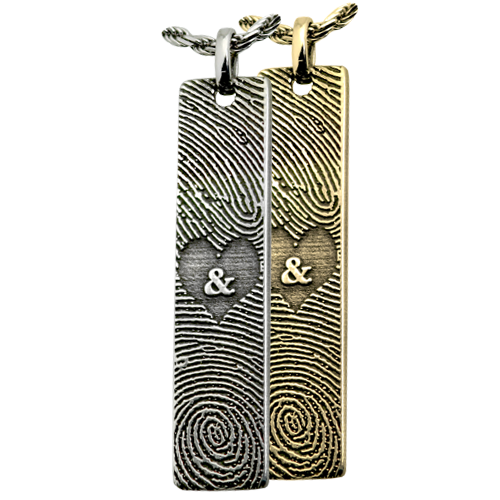 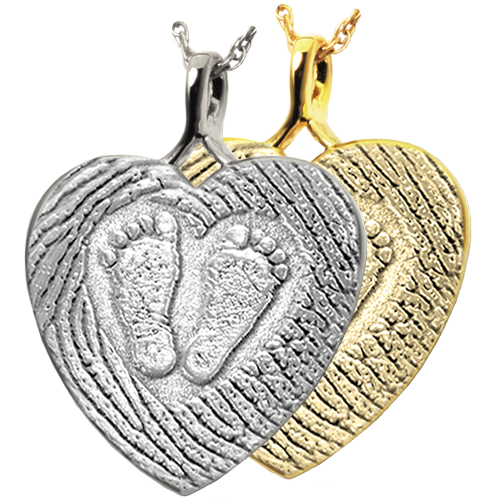 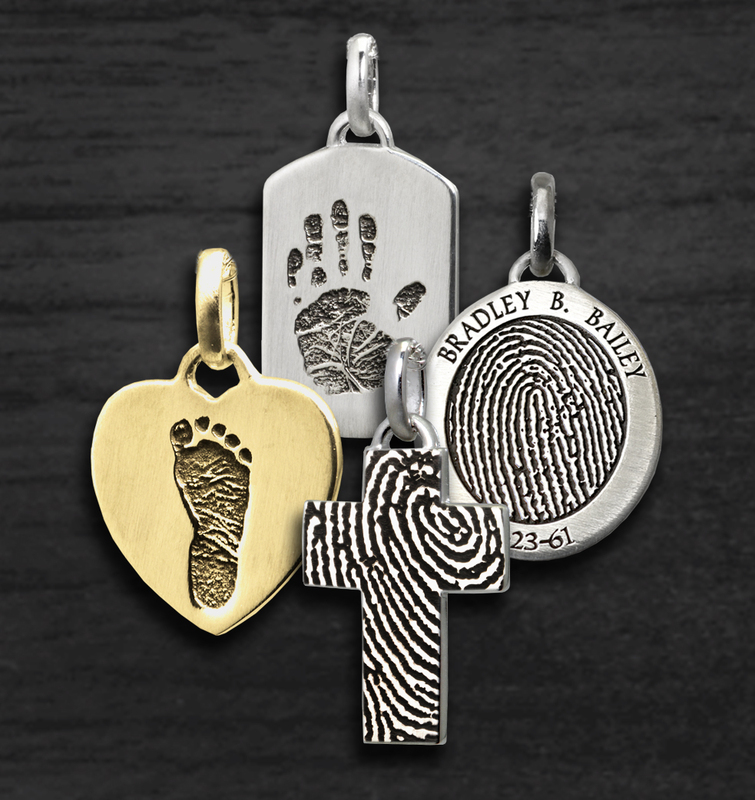 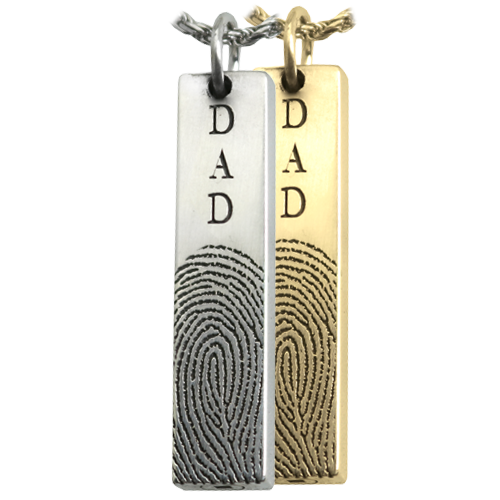 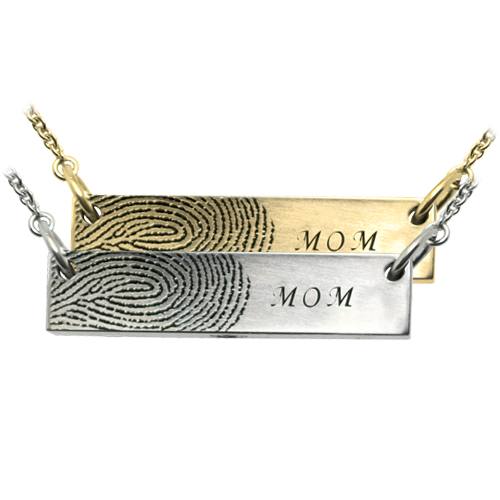 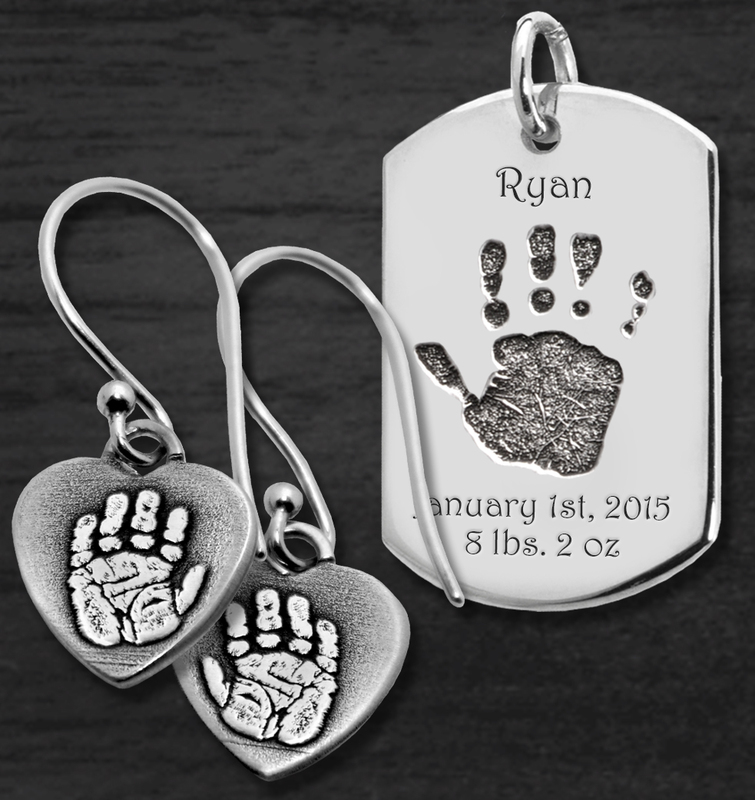 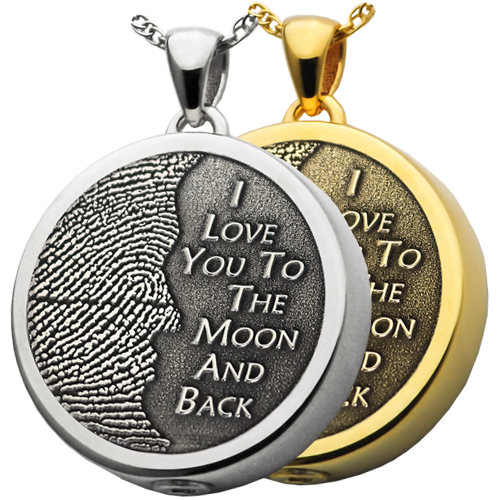 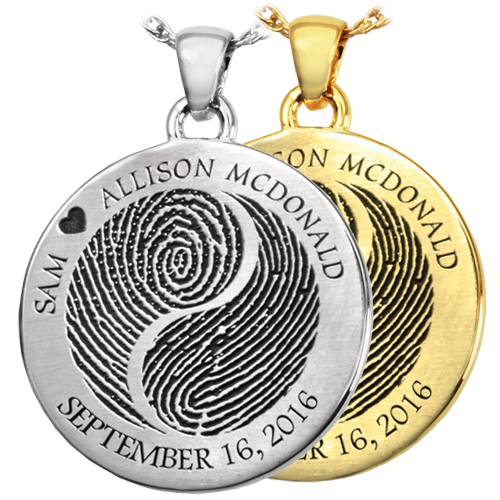 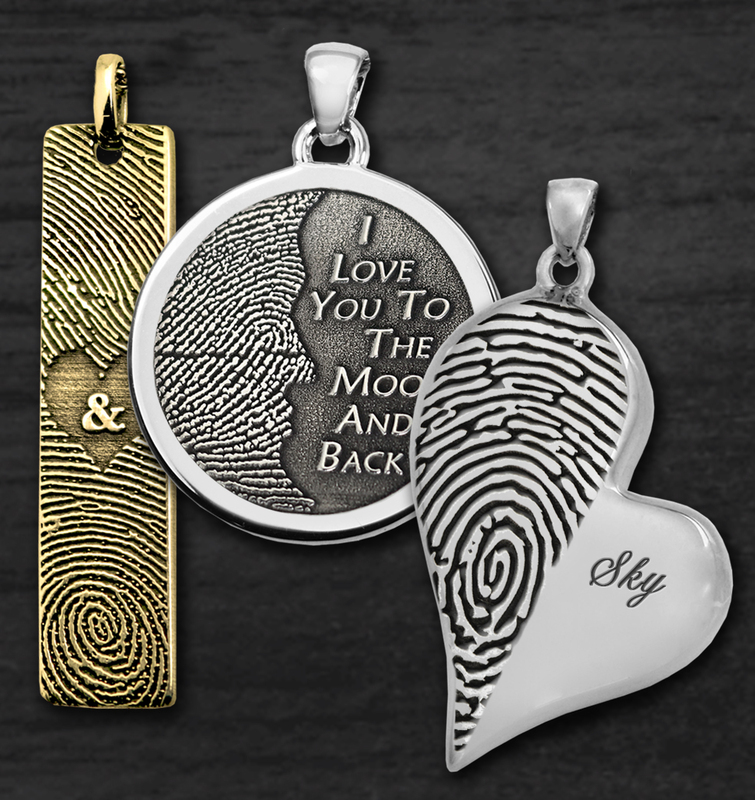 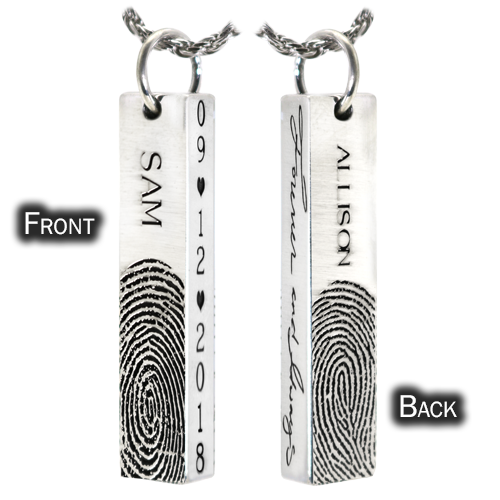 Check out our exclusive fingerprint necklaces and jewelry, featuring pendants, rings, bracelets and key rings. 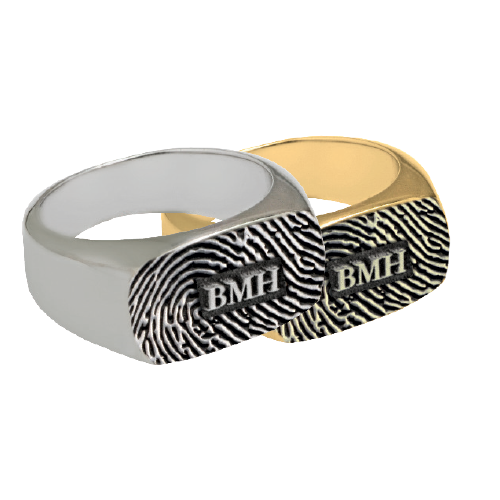 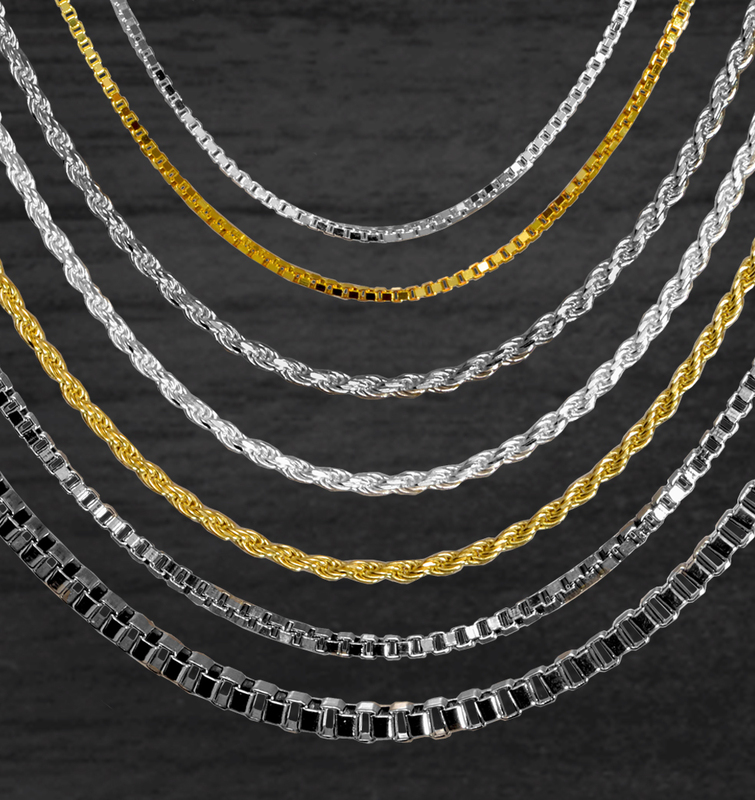 Most styles available in stainless steel, sterling silver, solid white and yellow gold and platinum. 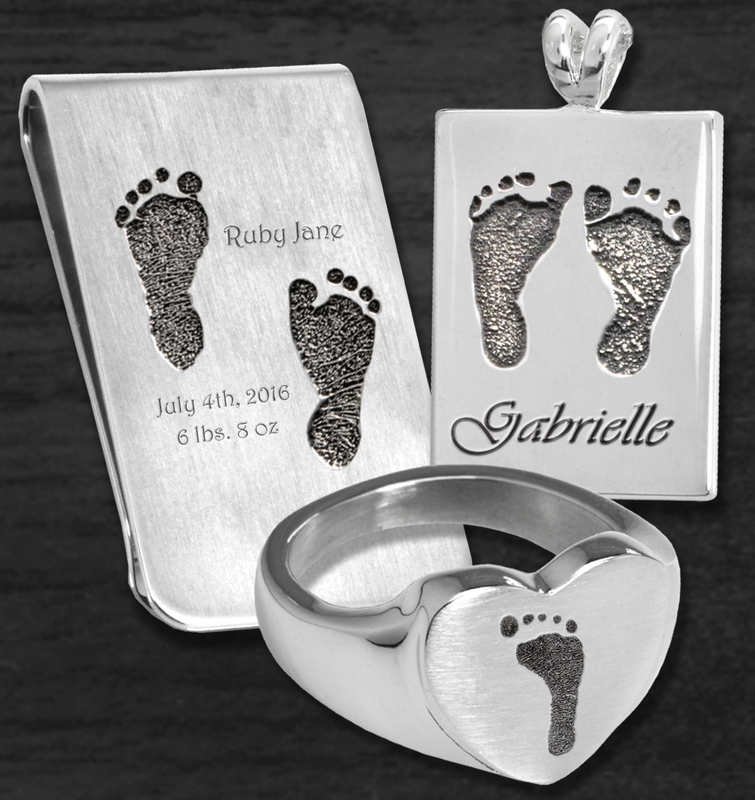 You will surely be pleased with the amazing quality of the engraved print. 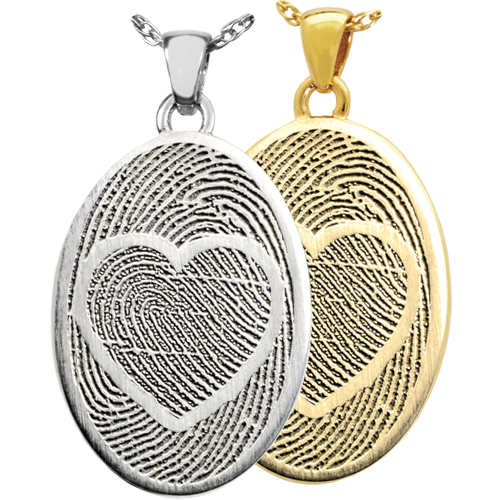 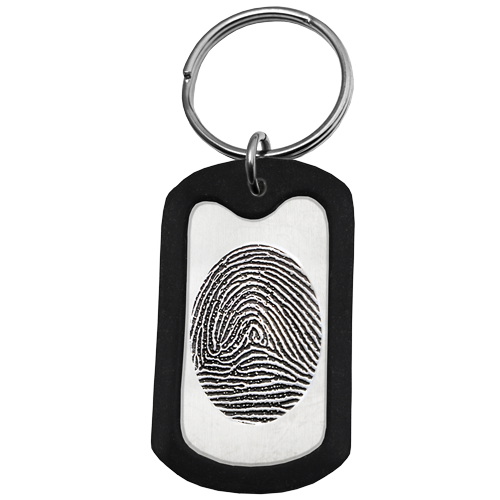 The fingerprints are deeply embossed into the precious metal pieces with incredible resolution and detail. 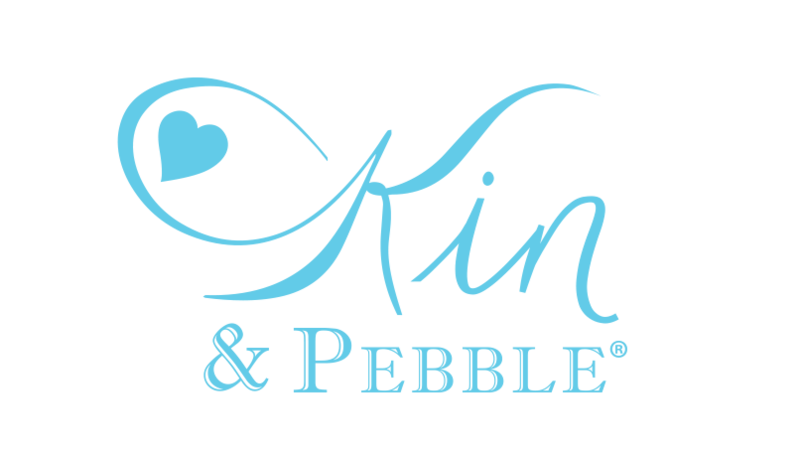 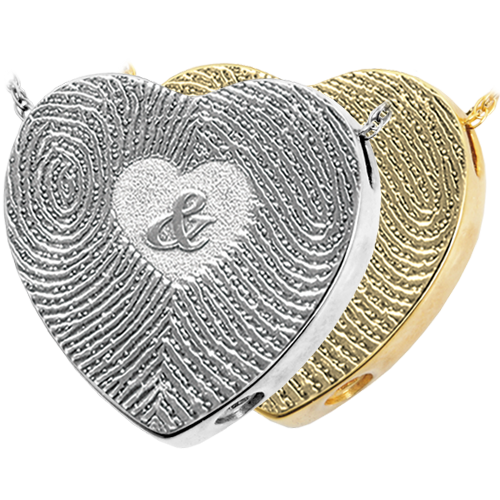 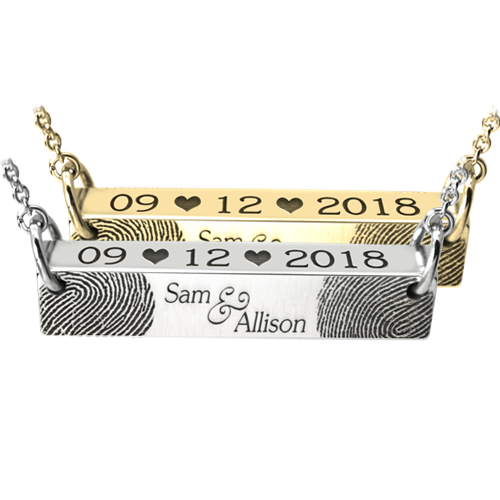 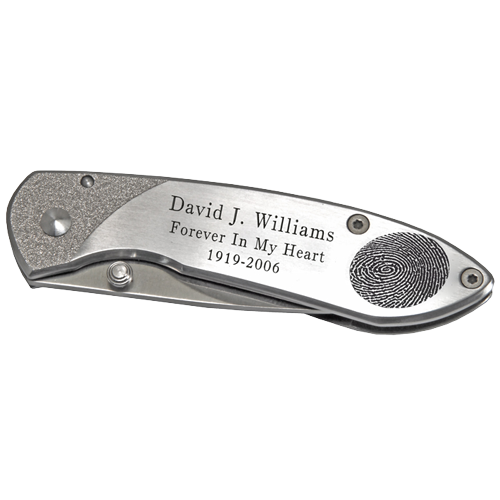 Makes a one-of-a-kind personalized gift to mark the celebration of weddings, anniversaries, birthdays or just to have as a family heirloom or to keep as your own sentimental jewelry.